Kataoka introduced a concept of mildness in boundary value problems. He defined mild microfunctions with boundary values. This theory has effective results in propagation of singularities of diffraction. 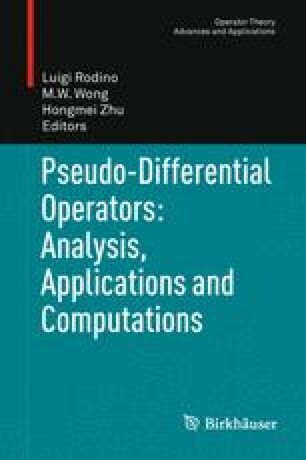 Furthermore, Oaku introduced F-mild microfunctions and applied them to Fuchsian partial differential equations. Based on these theories, we introduce Fuchsian mild microfunctions with fractional order. We show the properties of such microfunctions and their applications to partial differential equations of hyperbolic type. By using a fractional coordinate transform and a quantised Legendre transform, degenerate hyperbolic equations are transformed into equations with derivatives of fractional order. We present a correspondence between solutions for the hyperbolic equations and those for the transformed equations. Mathematics Subject Classification (2000). Primary 35A27; Secondary 35L80, 35S99.